As I engage in this competition called “Wager War,” where we bet on anything and everything (calm down – it’s for “entertainment purposes only”), naturally one of the things we have to lay some coin down on is boxing. And so the latest challenge becomes deciding which way to go on this fight between Manny Pacquiao and Adrien Broner. Do you remember, once upon a time, when this was being discussed as one of those potential “mega-fights”? It’s still significant, but after Broner suffered a few defeats, the luster kind of went out of the whole thing. But now there they are, at the MGM Grand on Saturday night, and we have this in front of us as a proposition of at least some intrigue, because we get to speculate what will happen with Pacquiao, win or lose. Would he retire if he lost to Broner? Would he move on to fight a grand finale with Floyd Mayweather is he emerged victorious? The first thing that has to be addressed is, “Does Broner have enough talent to beat Pacquiao?” Yes, he does, in terms of the ability he has at his disposal. But having the talent and having the wherewithal to apply it can be two vastly different things. He has not shined brightly when he has faced his biggest challenges, although when he is in over his head he still manages to hang around. The losses to Marcos Maidana, Shawn Porter and Mikey Garcia were not necessarily close on the judges’ cards, although he hasn’t exactly folded the tent when he’s been hit. But he has been out-worked in those bouts, not to mention one against Paul Malignaggi in which the decision went his way. And he lacks a certain discipline, if you want to consider these bizarre brushes with the law to be any indication. So yes, he could probably match skills with Pacquiao, but does he have that “something extra” that’s going to get him over the finish line first? As for Pacquiao, well, they picked a pretty ideal opponent for him to come back against (Lucas Matthysse), so I don’t necessarily want to use that to determine the level of punching power he is prepared to bring. He had gone through nine wins and almost a decade since he had previously stopped anybody (Miguel Cotto in 2009), and really, he has looked like somebody who either didn’t really have a lot of power at 147 or wasn’t confident enough in going after the knockout to leave himself open to being countered. 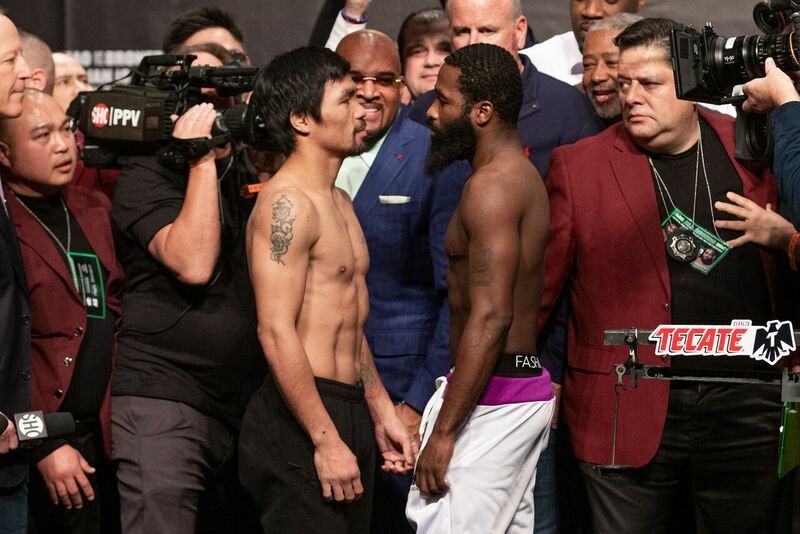 An in-shape Pacquiao, even at 40, should be too busy for Broner to pile up enough points on the cards. But let’s turn this around and say that even if Broner were the guy emerging victorious, I don’t think he would do it any other way than on a decision. Ultimately, we’ll lay the -280 that this fight gets to the halfway mark of the eleventh round and beyond, and we also put something down on Pacquiao to win by decision – a proposition that is priced at -125. The post Pacquiao-Broner: The Final Analysis appeared first on BoxingInsider.com.